However, in comparison with preceding years, the growth of prices in 2012 was not all that dynamic. In the following article, we focus mainly on price trends of the most interesting properties from the point of view of foreign investors. For some time now, there has been great demand on the part of foreign investors in the Austrian market. The recent crisis in Cyprus, when investors were looking for a safe place for their investments, contributed to increased interest of foreign investors. Demand for purchase came from almost all around the globe, in addition to the traditional countries (Germany, Switzerland) the demand from countries such as Russia and Bulgaria also grew significantly. Investment into new apartments has for a long time been a popular method of investing finances. The great demand for new apartments has led to their price increasing in all regions. The highest tempo was recorded in the Austrian capital. In Vienna, prices rose by 9.1 % to an average price per m² of EUR 3 598.62. Coming a very close second to Vienna is Salzburg where the prices have risen by 5.53 %, with the price per metre now steady at EUR 3 311.44. 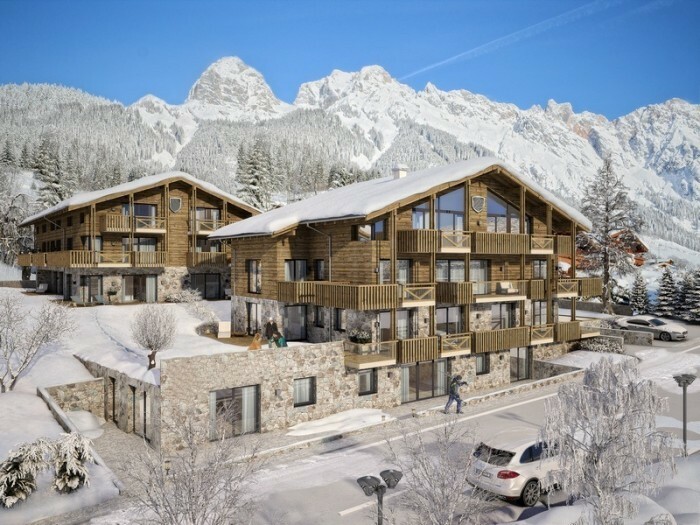 As for investment in property in the Alps, the popular tourist destination of Styria, known as the green heart of Austria, may be interesting for investors. Statistics here showed a price increase of 3.66 %, but the price of new apartments is holding at around EUR 1 788 per square metre. The cheapest region hands down is the federal state of Burgenland where prices have stagnated (drop of 0.02 %) and the average price of new apartments is EUR 1 583.90 per m². In the same way as brand new apartments, the price of used apartments also grew in all federal states, most of all in Salzburg where the rise of 10.12 % has set the average price per square metre at EUR 2 158. In Vienna, the prices of used apartments increased by 8.83 % to an average price of EUR 2 319.56 per m². Conversely, prices in Styria are more reasonable, where the rise in price was 3.64 % and the average price is in the region of EUR 1 075.38 per m². There are no surprises in the case of terraced houses. The most active growth was recorded in Vienna (8.58 %), where the average price is EUR 2 453.02 per m², followed by Salzburg (6.94 %), where the price per square metre is even higher than in the capital (EUR 2 496.16 per m²). At the other end of the scale is Styria where growth was only half a percent and the price per square metre is roughly half (EUR 1 205.50 per m²). In comparison with the sudden growth in prices of the preceding years, the prices for detached houses have risen only slightly over the past year. The greatest growth was recorded in Salzburg (5.27 %) where the average price stands at EUR 2 698.53 per m². Close behind Salzburg there is Styria with growth of 4.18 %, although, even so, the price per metre is one of the lowest. It is certainly also interesting to take a look at the land prices in Austria. Here too a rise in prices in apparent in all federal states. The most significant rise was in Styria (13.97 %), although the land prices here are also the lowest in Austria. When comparing the separate state capitals, we can see the greatest price rise in Salzburg (10.91 %). Prices of used apartments increased to EUR 2 945 per m², meaning a rise of as much as 14.09 %, prices of detached houses and land rising by 12.2 % and 12.13 % respectively. In Linz, capital of Upper Austria and third largest city in Austria after Vienna and Graz, prices hiked by 4.52 %. The greatest rise was in land prices, however (7.49 %). In Innsbruck, capital of Tyrol, property prices rose by 4.13 %. Investor interest is focused understandably on the Austrian capital, Vienna. The long-lasting crisis in combination with low interest rates maintains high demand for investment either in houses or apartments. Property prices in Vienna are rising by 10 %. In the case of luxury properties, the price per metre is up to EUR 30 000. Exclusive projects in some well-to-do districts such as Hohen Markt, Palais Hansen or Goldene Quartier set a new price dimension. Offers of under EUR 300 000 simply do not exist. In general, it can be said that there is greater demand for apartments than for houses. The federal state of Salzburg stands alongside Vienna as the most attractive for property investment. Hunger for new apartments has encouraged new construction projects. There are more brand new apartments than in previous years. Even so, demand pushed prices up by 12 % in Salzburg itself. Thanks to constant demand, the prices of used apartments and terraced houses are also rising. It is most difficult to find detached houses on the market, with very few for sale and this too contributes to a rise in prices in this property segment. In Tyrol it is primarily land prices that are rising, mostly in Innsbruck, Kitzbühel and surrounding areas. Prices in the west of the state rose only slightly, even falling slightly in some places. Prices of used apartments are rising, although not as fast as with new projects. 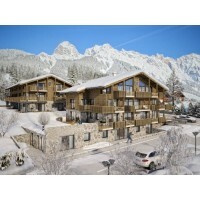 The exception is Kitzbühel, where the prices of used apartments also rose. As for family houses (either detached or terraced) the situation is very varied and depends very much on the location in question and the standard of housing. In Styria, demand centres on the city of Graz and its immediate surroundings, where the property prices are growing. Similarly, rents are also rising, particularly in areas with sufficient job opportunities. House prices this year remained stable at the level maintained for several years now.